For centuries mint has been used as an aid to digestion. The natural peppermint leaves have a delightful fresh, clean flavour that makes a soothing infusion at any time of the day. 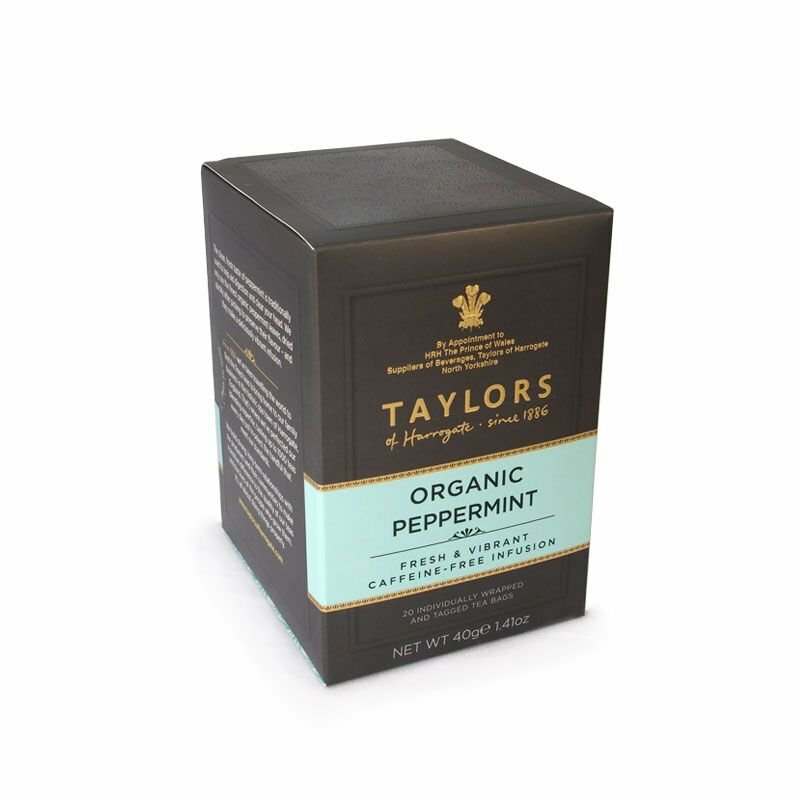 Taylors of Harrogate buys organically-grown peppermint for the best purity and flavour.